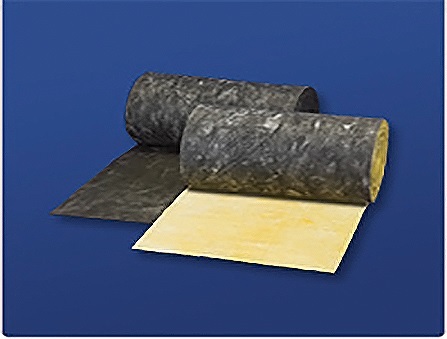 Tuf-Skin®II dual-density fiber glass blankets are the most widely used insulation for HVAC equipment applications. The combination of a high-density skin and low-density core provides high acoustical values in the high and low frequency ranges normally encountered in appliances and HVAC equipment. Tuf-Skin®II insulations provide effective thermal and acoustical control in air conditioning and heating equipment and in other appliances and equipment required. This product is recommended for operating temperatures up to 250°F. Tuf-Skin®II have high-density skins and light-density cores which provide high acoustical values in the intensity and frequency ranges normally encountered in appliances and HVAC equipment. The porosity and inherent structure of the fame-attenuated glass fiber blankets are highly effective in reducing thermal transfer. The inherent rigidity of this products eases installation. In addition to the thermal and acoustical properties, both insulations readily withstand damage from mechanical abrasion during assemble and from in-service air erosion. Tuf-Skin®II rolled insulation has a black skin with an amber core. Available in different thickness and can be cut in different shapes and pieces to particular customer specifications.